We are focused on helping clients effectively sift through global payer attitudes, behaviors and beliefs. The ultimate goal is to achieve optimal price and market access for patients using a variety of strategies and techniques customized to fit the needs of your organization. The changing health care landscape creates confusion for life science manufacturers, our expert consulting helps you navigate through uncertain times. Send us a message. One of our partners will schedule a consultation. 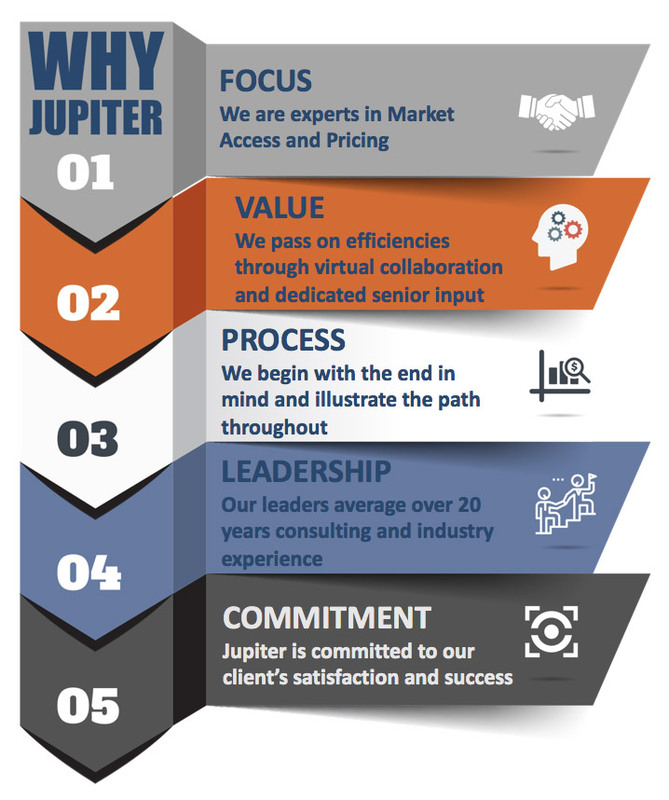 Jupiter is a team of experts in the field of market access strategy and pricing. We are happy to hear about your business questions and share our experiences. Contact us to schedule a partner consultation. Gain Valuable Knowledge Courtesy of Jupiter! We practice what we preach. Become an insider and learn from our regular market updates.